Today marks 50 years since Liverpool won an incredible European tie on the toss of a coin against Cologne. 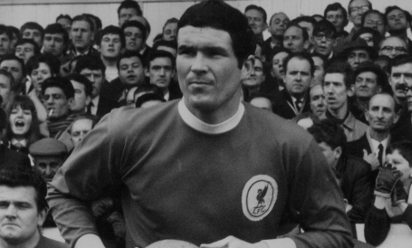 It was an epic European Cup contest for Bill Shankly's men as, following three draws and even a postponement, nothing could separate the Reds and Cologne in March 1965. Goals from Ian St John and Roger Hunt put Liverpool in the driving seat in the neutral venue of Feyenoord FC, Rotterdam - but Cologne came back to 2-2. After 300 minutes of football, including another gruelling period of extra-time, the outcome was to be decided by the toss of a coin, and even then it wasn't as straightforward as people think. Referee Robert Schaut from Belgium was the man at the centre of attention as Yeats and Cologne skipper Wolfgang Overath approached the centre circle. "I thought the German captain was going to hit him. He was going berserk because it was falling over on the heads. He picked it up, up it went again, and came down tails. "I said 'I picked tails, boss'. I was waiting for the adulation but he just went 'I would have picked tails myself' and walked away." Local reporter Horace Yates from the Liverpool Daily Post termed it 'the most amazing finish I have ever seen or am ever likely to see in football'.